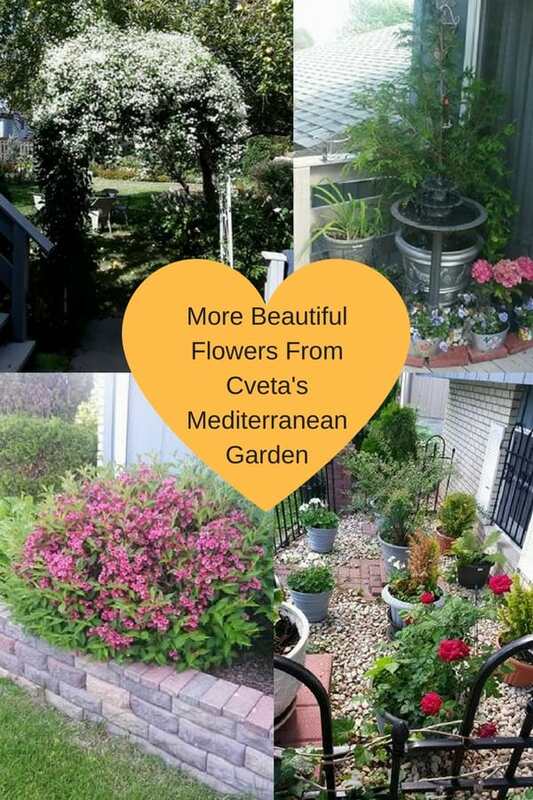 Born in Macedonia, 1600 meters above sea level Cveta enjoyed the Mediterranean mountain climate and the beautiful gardens everyone was growing. 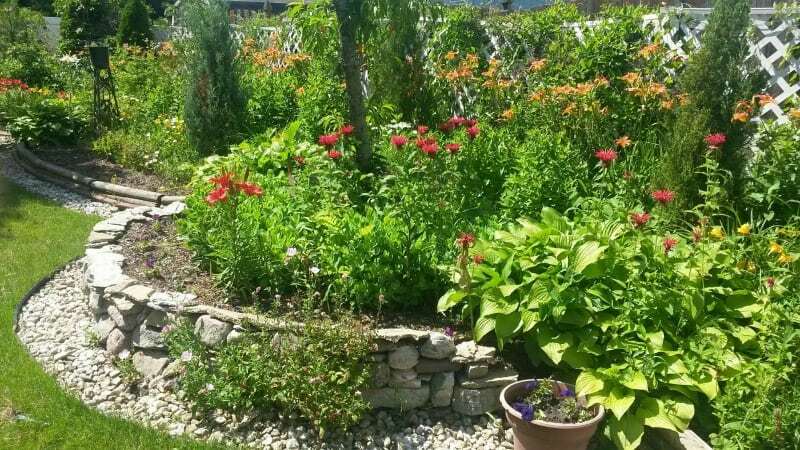 So when she build a house here in the States, she decided to create a Mediterranean style garden to remind her of her childhood. 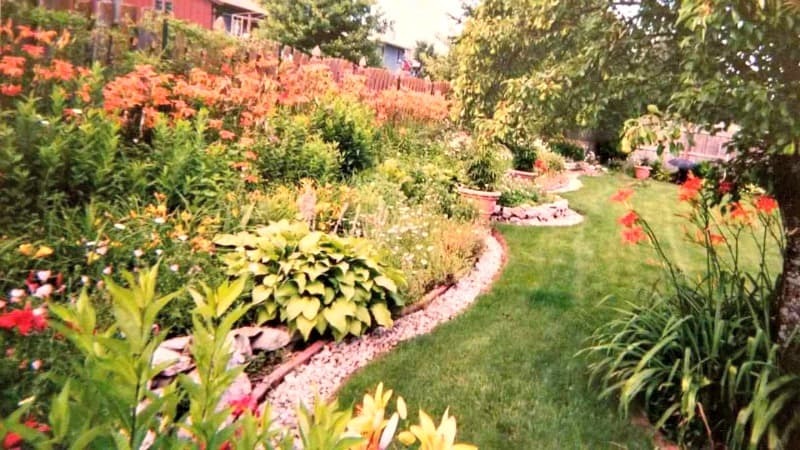 When she built her home, she wanted to look at something pleasant in her backyard, so she went to work to create a beautiful Mediterranean garden just like the ones she used to see at home. So, after building the house, there was a hill of dirt left in the back, and some stone. The house is sitting on the lower slope, so Cveta decided to start moving dirt and rocks to the back of the yard to stop water from coming into the yard. I love how she created a circle in the middle, and small curbs on both sides. Looks like a beautiful park setting. 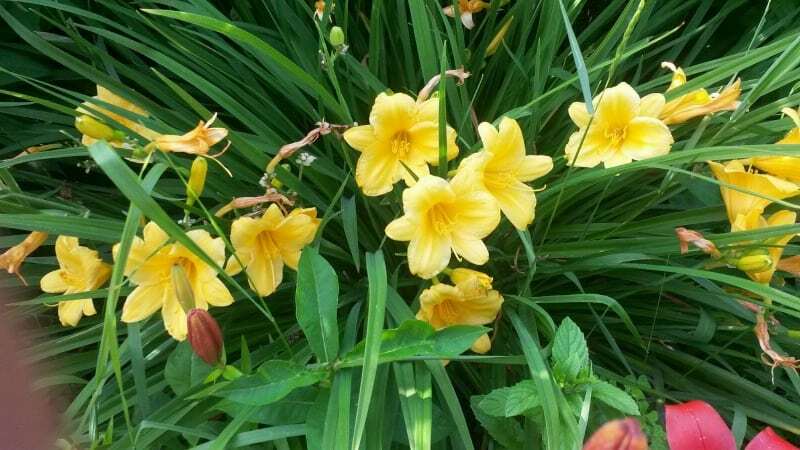 She planted lily and phlox in rows of 80 in the back of the garden. 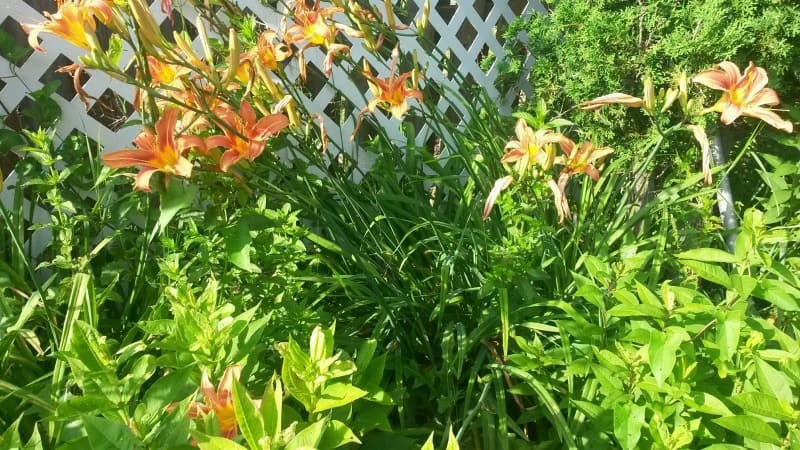 She planted a few colors of lilies: orange, yellow and white. 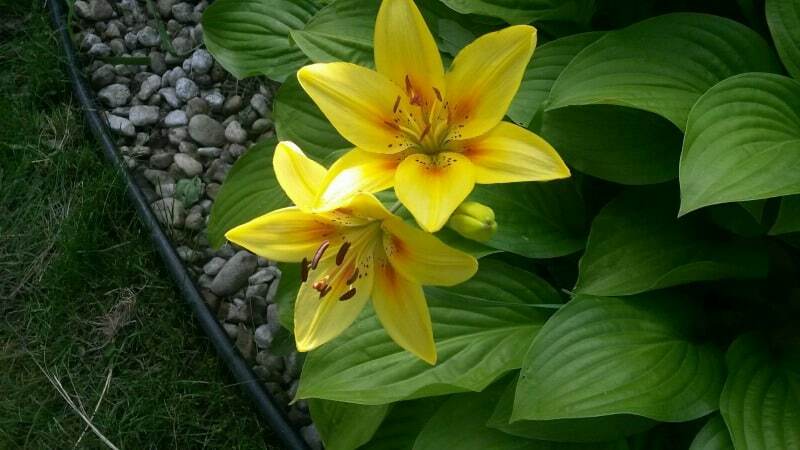 Then she bought some Stella D’oro lilies from a Chicago show. Later, as she found some new flower she liked, she added it to her gardens. I can only imagine waling through Cveta’s garden with all these beautiful flowers! 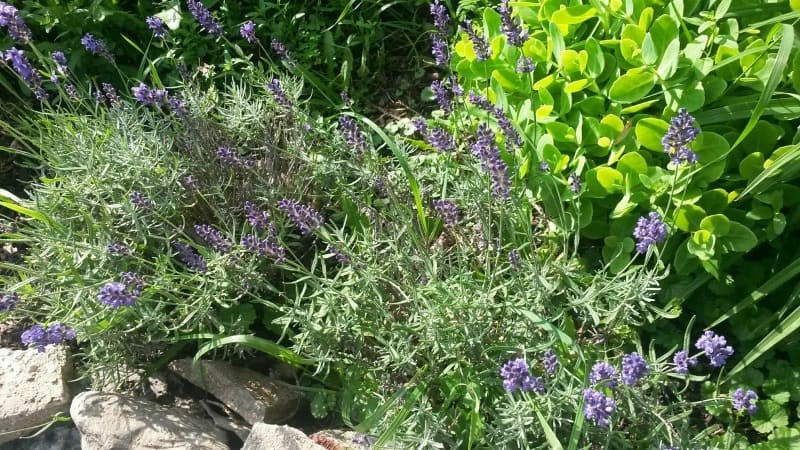 I love brushing against lavender bushes: the aroma is heavenly. 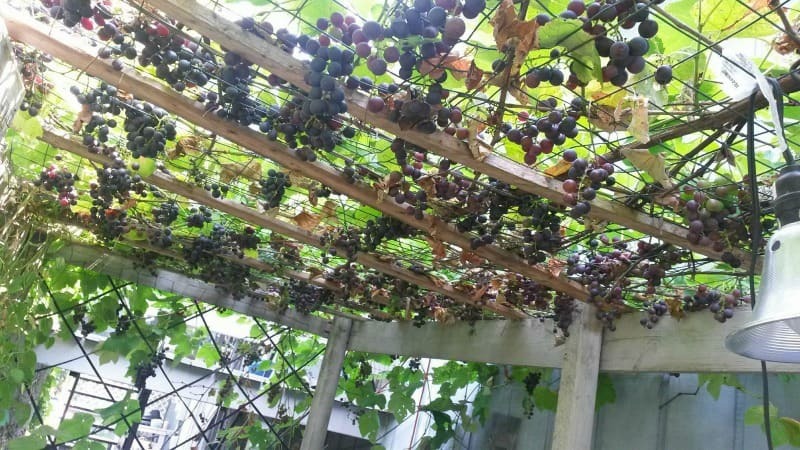 Of course, like every Mediterranean style garden, Cveta’s garden has a grapevine. She didn’t stop with flowers. 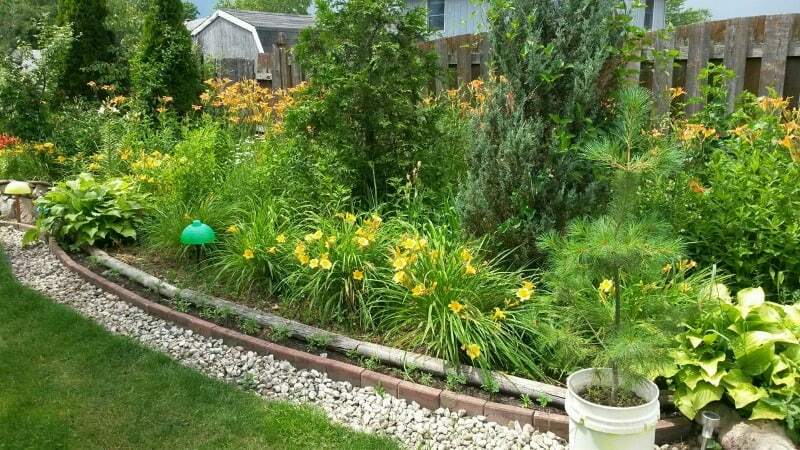 She planted some shrubs and a vegetable garden too. 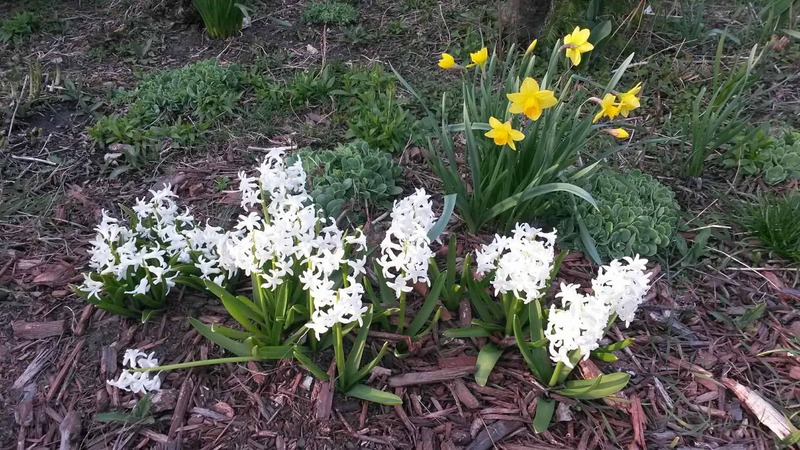 As flowers and shrubs come alive this spring, Cveta will share more pictures of her garden. Her Mediterranean style garden is gorgeous and even though it took a long time to create, she’ll have it for years to come. 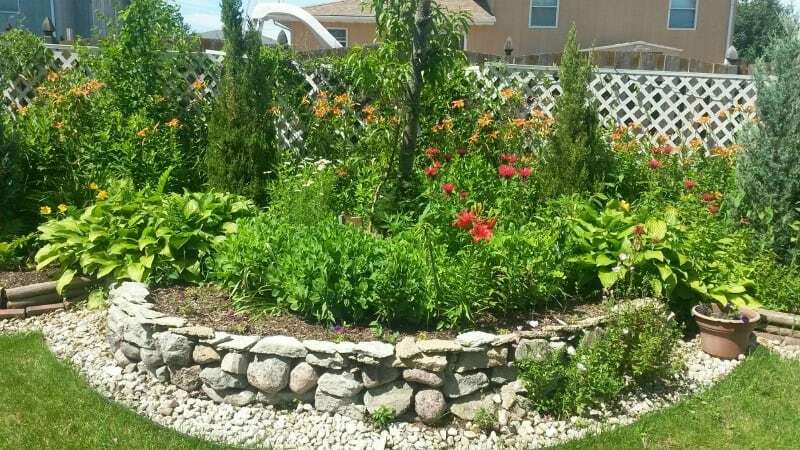 A beautiful garden takes time, but gives back so much more than your time investment. Beautiful curb appeal created by the rock path and yellow toned flowers. Lovely warm colors everywhere, and a bit of variation with the tiny purple flowers in the pot. Another look at her rock wall. 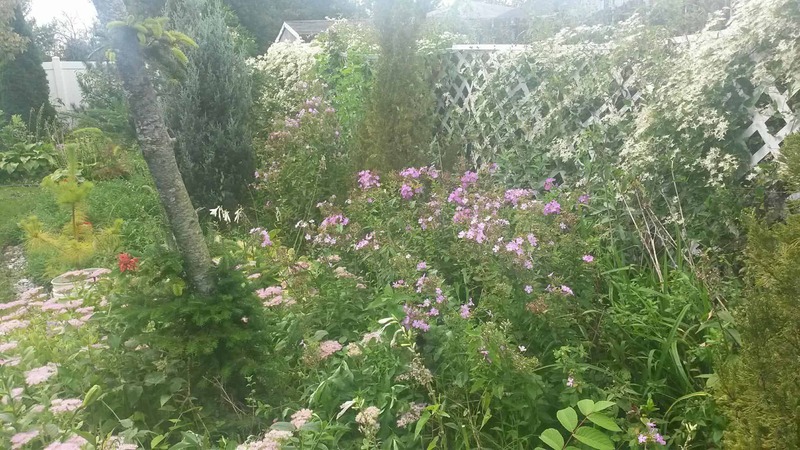 More of the beautiful flowers in this gorgeous garden: roses in the front yard, a jasmine pergola, and so many more…. 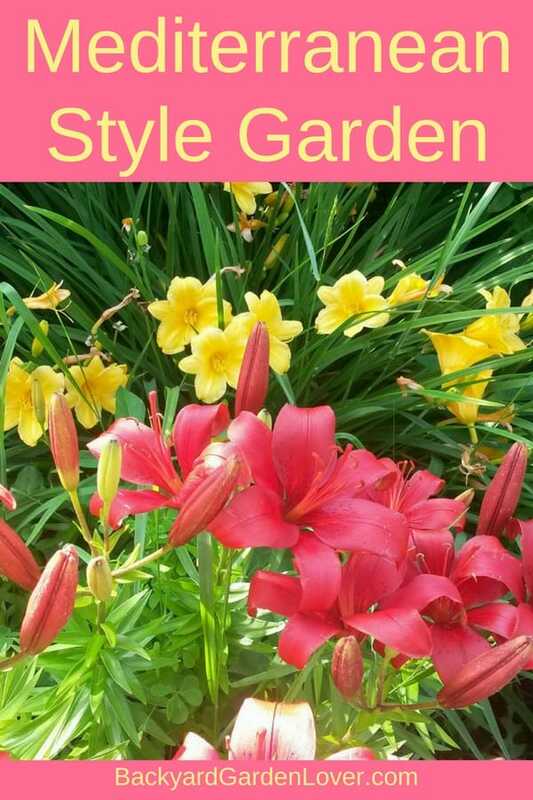 Do you have a garden you’d like featured here on Backyard garden lover? Send me a message on FB, or contact me here.